The main target of the company is providing and extending the highest service levels by creating a suitable, comfortable & professional environment for our clents worldwide. Selecting the partners is one of the greatest factors for reaching the expected results. Well, our priority always is the client, We always do our level best to meet the clients' expectations. TEZ TOUR DMCC is a global tour operator operates under the same globally registered commercial brand TEZ TOUR and our partners have been selected from different sectors in the travel & tourism field worldwide. 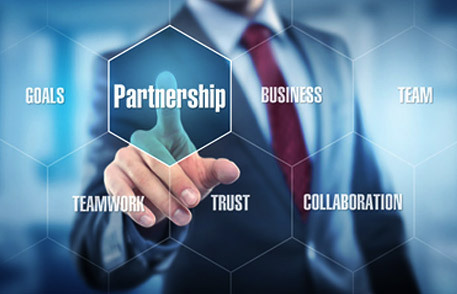 TEZ TOUR DMCC strongly believes that the backbone of any business organization is the strength of the partnership with the existing and potential partners. TEZ TOUR DMCC selects its partners on the very accurate basis and based on very accurate, sharp and serious parameters for achieving together the planned target which is: The customers' satisfaction. The main target of TEZ TOUR DMCC is the customers' satisfaction and each and every employee's priority is the customer and satisfying the customer's needs and requirements is on our top of list to do. We encourage innovation, focus on success, dedication and creativity approach. We believe the Company, are proud of our brands, products and services. We do strongly believe that the success's key id: The Trust. The mutual trust between the employer, employees and customers is the key of any success from our point of view. We strongly encourage the mutual honestly, trust and respect between all parties. The company always welcomes the new ideas which could lead to better results for reaching the perfection. When we make decisions, we do rely on the proper analysis and deep studies for implementing and building the best and most suitable decisions. Our main strenth point is: The Team. TEZ TOUR Team !!! like-minded people united by the moral and ethical standards, common goals, aspirations, and the pace of development, which is capable of professionally and efficiently to achieve strategic objectives. Copyright 2019. TEZ TOUR DMCC. All rights reserved.